The latest Apple product is being released, and Mac lovers have been lining up to get their hands on the iPhone 6s. So what makes this product so special? Besides the expected software updates and advanced Touch ID, faster 4G and Wi-Fi connections, a sleeker design with a rose gold finish and of course iOS9; what are some of the new features that iPhone-fanatics can look forward to? Since Bend-gate there have been speculations regarding just how durable the latest iPhone will be. Apple have addressed this and have engineered a new alloy of 7000 Series aluminium, the same used in the aerospace industry, to ensure your phone won’t bend in your pocket. But that’s not all they have to offer. This is perhaps the most exciting of the new features of the iPhone 6S. This revolutionary technology combines software and hardware to bring a new dimension of functionality to using your phone. As well as the now familiar touch gestures like Tap, Swipe and Pinch, 3D Touch introduces what Apple refers to as “Peek and Pop”. Basically, with 3D Touch your phone registers how much pressure you put on your screen. If you select an icon/message/web page, it will open or Peek out; so you get an idea of what it contains. If you want to go into that web page or message you just have to press a little harder and it will “Pop” open. It also enables the user to make even shorter shortcuts to the camera, messaging and map apps from the home screen. Seeing Apples iPhone 6S in action, it appears to be a sleek transition and one which makes the phone that bit more covetable to this tech-loving writer. The camera in the iPhone 6S has 12 megapixels and the shots it takes are absolutely stunning. It’s clearer than my own vision. Apple claims that a camera this good won’t need re-touches or filters on photos – although I doubt that will stop all the Instagrammers out there. If anything, this will just step up their game. The new iPhone can also take videos four times 1080p meaning your videos will look like something from the silver screen, in the palm of your hand. Do you take a lot of selfies? The front facing camera – for Facetiming and selfie-taking – is high definition 5 megapixels. All the better to see yourself with. 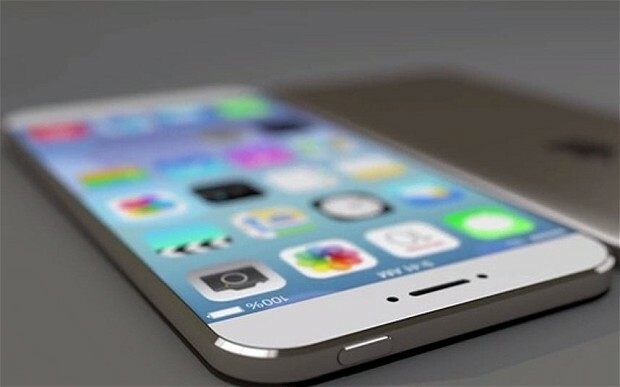 The iPhone 6S also has a new function: Retina Flash, a flash three times brighter than the previous generation. This, combined with Apple’s True Tone Tech, allows you to have perfectly lit selfies no matter where you’re taking the photo. As well as having a crisp and clearer shot, the iPhone 6S also enables the user to take Live Photos, literally capturing a moment in time just before and after you take the photo, with movement and sound. Like sleeker gifs if you will. You can activate the live photos simply by selecting a photo and you can also view them on your other Apple devices, and share them around. The iPhone 6s is run by a 64-bit A9 chip. This chip empowers the iPhone 6S which 70% faster CPU (than the previous iPhone) and 90% GPU; meaning you can enjoy games, apps and videos with far better results. Apple goes for far as to say that it is as immersive as playing a video-game on your desktop or game console. So, will you be lining up with the rest of them to get this beauty? Orlaith Costello writes for The PC Doctor, a fan of all things tech-related, she’s had a keen interest in IT and programming since the age of 8. Nurtured from a young age she has shares her opinions on IT news, smartphones, apps, or Google’s latest updates.